Cornelia Funke’s children’s books are the very definition of enchanting. Whether you’re considering her works for younger children (e.g. Dragon Rider) or older ones (e.g. Inkheart, Inkspell), her storylines are unique and absorbing. But it’s her voice that we find particularly noteworthy for all its fluid grace, its hint of poetry. So what a shocker when we first learned Cornelia, a German author, didn’t produce the English version of her books. Who then was the voice behind the English works, and how–if at all–did this mysterious person affect the voice? Inquiring minds had to know, and so we discovered Anthea Bell, a translator living in the UK, and asked her for this interview; she agreed. Read on to learn about the translation process from the ever-delightful Ms. Bell (and learn more about Cornelia Funke’s upcoming books as well)! Q: How did you become a translator for Cornelia Funke’s novels? A: I started translating Cornelia Funke’s splendid fantasy novels after Barry Cunningham of Chicken House in the UK came to see me about them. (The publishing house is now merged with Scholastic UK, and as you know Scholastic US is Cornelia’s American publisher.) I’ve translated a good many books for children and young people, although for a while in around the 1980s and 1990s I translated only adult books, because publishers in the English-speaking world were reluctant even to consider children’s literature from other languages. The situation is better now, and I think Cornelia herself has done a lot to make publishers realize that a book from a foreign language really can catch the imagination of young people. I especially value that part of my work. The more widely children read, the more open-minded they will surely get to be. Anyway, after he had published The Thief Lord Barry came along with Dragon Rider, and I was enchanted. 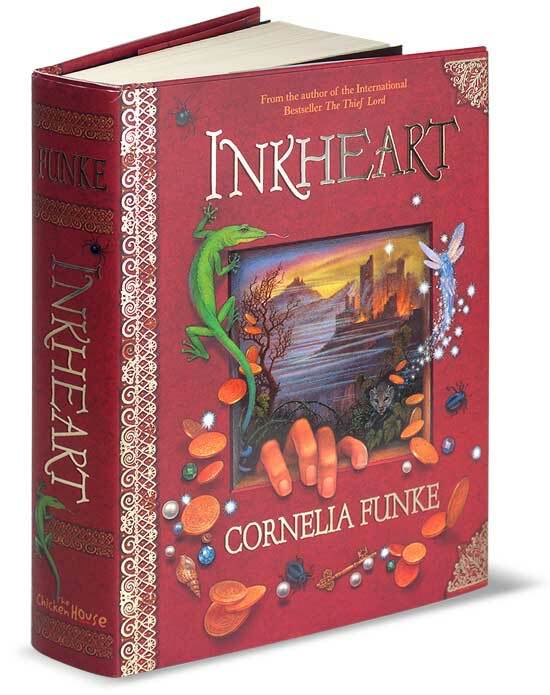 In fact Cornelia was writing Inkheart at the time – and I was if anything even more enchanted when I read it – and publication in English (after The Thief Lord) began with Inkheart, followed by Dragon Rider, followed by Inkspell. 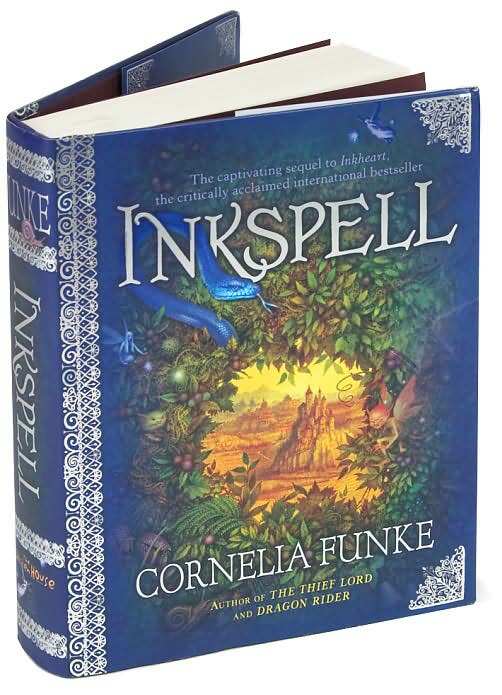 This year, while Cornelia finishes revising the third in the Inkworld trilogy, there will still be a new Cornelia Funke novel in English, for slightly younger readers than the trilogy (Dragon Rider readers, I’d say), but enjoyable by anyone of any age. It is a chivalric Arthurian fantasy with a strong strand of humor in it, called in German Igraine Ohnefurcht – working title Igraine the Fearless. I delivered the translation a few weeks ago, and we all love the story. Q: Inkheart, Inkspell, Dragon Rider and The Thief Lord contain plenty of fluid passages laced with rich, beautiful language. The work truly sings. Is the voice as poetic in German? A: Oh, it is all there in the German. All I am doing is, I hope, to echo Cornelia’s own voice in English. A translator is always trying to turn into the author he or she is translating. It’s a bit like being an actor: you have to think yourself into the author’s part. Cornelia is wonderful to work with; any comments she makes on the translation are pure gold. Q: Can you give us an example of some of this back-and-forth throughout during translation process? A: Working with Cornelia and her publishers, both English-speaking and German: I think in particular of all the correspondence we had about the way a watermill for grinding flour actually works. The chapter in Inkspell where a mill is the scene of a dramatic confrontation depends on it. There’s an old flour mill in the grounds of a stately home near where I live in the east of England; it’s been preserved and even goes into action once a month – you can buy the flour, and I do; it makes lovely bread. We all wrote to each other at some length about watermills and the way they operated, Cornelia too did some revision, and in the end everyone was satisfied that the action in and around the mill in her story rang true. Q: Do you think there’s a unique element that foreign authors bring to English-speaking readers? What? A: The element brought to English-speaking readers by foreign writers varies from country to country … in fact the north European fantasy tradition is very like our own in English (Tolkien wove a great many Germanic and Scandinavian as well as Celtic themes into The Lord of the Rings), but just because we have such a strong tradition of imaginative literature for young people in English, it has been quite difficult for writers in other languages to break into it and be published in English too. Q: Can you tell us more about Igraine the Fearless? What makes this book unique from her other stories? What is Igraine’s problem throughout the story? A: Cornelia tells us that one of her favorite books as a child was T.H. White’s tetralogy The Once and Future King. It was also one of my own favorites, and people who specially enjoyed the first volume of the four, The Sword in the Stone, will like Igraine too for its mixture of humor and traditional themes. Igraine’s problem is that she doesn’t want to be a magician, like her father Sir Lamorak, her mother the Fair Melisande, and her elder brother Albert. She wants to be a knight instead … and as you can imagine, though she’s really good at riding and swordplay, this isn’t seen as an acceptable ambition for a girl. But just as she’s celebrating her twelfth birthday, something happens to send her out on her adventures in order to save her whole family and their castle. Q: These books are such a pleasure to read. Do you enjoy working on them? Do you wait eagerly for new copy just as her fans do? Q: Has the Internet affected your role as translator very much? How so? And the sheer convenience of being able to correspond by email and send manuscripts as attachments is wonderful. I used to have to send heavy parcels, and if they were going far abroad we could all have an anxious time waiting to be sure they arrived. Books themselves and proofs still have to travel by ordinary mail, of course, but today’s courier services are a great help. And US publishers are generally kind enough to let me charge them on their own courier accounts for returning proofs. We feel now as if word-processing programs have been with us for ever, but they haven’t. I’m old enough to remember typewriters and carbon copies, where you had to correct, messily, on every separate carbon, and probably retype a final version entirely for clean copy. Years ago I was translating a book full of the word “meteorologist”, and I remember thinking what a horrible word it is to type – if you are a touch-typist, like me, the rhythm of it between your two hands on the Qwerty keyboard is uncomfortable – and how lovely it would be if a single key could bring it up. Now, of course, it can. Working in Word, I always make autotext short cuts for the names of characters in novels. For Inkspell I had almost the whole keyboard set up to produce the names of all the many characters with a single letter for each plus the F3 key. I generally use initials of names where I can, but Farid and Fenoglio are both prominent in the Inkworld trilogy. I gave the F key to Farid, and the N key to Fenoglio – and must admit that once or twice I hit the wrong one. I do try to keep a sharp eye out for that in reading through, but Cornelia picked up a couple of passages which mystifyingly mentioned the wrong character. I was very grateful to her, and explained how it happened. Q: What has been your favorite work? A: As with any author I really, really like, my favorite work is the one I’m on at the moment. I am not actually translating this third in the trilogy yet, although I did the first two chapters just to give Cornelia’s publishers both sides of the Atlantic a taste of the book, at her suggestion. But she may well be revising again; she is a very, very professional writer, and goes back carefully over everything she has written until she is sure she has it right. However, I can safely say that the third book looks like being even better than the first two. Q: Can you offer us any tantalizing hints for Cornelia Funke’s upcoming books? A: I’m allowed to tell you that the working title anyway for the last in the trilogy is Inkdawn. We are all so used to referring to it thus now that I guess it will finish up as the actual title – it is in German that they may have a problem. When I saw Cornelia in June she hadn’t decided on the German title yet. It was to have been Tintentod, “Inkdeath”. But already the English-language publishers would not have Inkblood (German Tintenblut) for the title of the second volume, hence Inkspell. And Cornelia said she would have to think of something different for Germany. After all, she has promised a happy ending in the closing sentence of Inkspell! Anyway, we’re working with Inkdawn. Stay with us for part 2 of WU’s interview with Anthea Bell! Translating foreign works is a tricky business, and not just because the magic of a foreign author’s work must be lovingly preserved. In part two of our interview with Anthea Bell, we learn more about how she works, the challenges she faces when language itself becomes a barrier, and which recently translated books she feels have the potential to become best sellers as they enter our markets. Q: How do you receive the text? What is your process? A: When I have the whole text in its final version – and it is going to be a big, long book again, a really satisfying read – I’ll set aside time in my schedule to get straight down to it. I know I can ask Cornelia any questions as they arise, and in fact we’ve already been discussing names in English for some of the characters. Most have already appeared in Inkheart and Inkspell, but there are a few new ones. Then she and her agents and the publishers will all see it, and the publishers’ editors will comment too. Q: Does much change after the agent, editor and publisher comments? Can you give us an example of what may pose a “sticking point” for them? A: I don’t think I have a good answer to that. No, probably not much does change. Cornelia is such a careful worker. In books with complex plots like her trilogy, it is important to her for her time scheme to connect up, since the chapters often move from one set of characters in one place to another set somewhere else. Q: Are there any special considerations when translating German to English? Have you had any unique challenges with any of Cornelia Funke’s books in particular? A: German to English. Sometimes German does presents difficulties in translation, but not really significant ones in Cornelia’s work. (I think, however, of W.G. Sebald’s novel Austerlitz. Sebald deliberately writes an intricate German sometimes described as almost nineteenth-century, and breaking up his long sentences would not have been right; one of them goes on for no less than nine pages, and is meant to, because it describes the totally pointless hurry and bustle of the Nazis working away to make Theresienstadt look like a happy holiday camp for Jews, for the benefit of a visiting Red Cross commission. The long sentence is part of the effect.) But Cornelia writes a clear, straightforward style, with lovely descriptive passages for the settings of the story and excellent dialogue. In Inkspell I did come upon one perennial difficulty: German has two words where we have only one for “prince” in English. Fürst is the word for the ruler of a principality. Prinz is the courtesy title of a close male relative of such a ruler. The ruler of Lombrica in Inkspell is a Fürst, a ruling head of state. The Black Prince is a Prinz – his is a name given him or adopted by him as a nickname, but if he were a real prince it would be a courtesy title only. In fact Cornelia took the name of this character from the fourteenth-century Black Prince of British history. But that word Fürst is the bane of my life! I had it in E.T.A. Hoffmann’s last novel, published in English by Penguin Classics as The Life and Opinions of the Tom-Cat Murr, which is full of princes and princesses of both kinds. And I have just had it again in a very entertaining adult historical novel by Robert Löhr, to be called The Chess Machine in English and coming out both sides of the Atlantic next spring, about the famous Mechanical Turk chess-playing automaton invented by the Austro-Hungarian nobleman Wolfgang von Kempelen. (It ended its days in the States, where Edgar Allan Poe saw it and worked out how it operated; Kempelen pretended to have invented a genuine thinking machine, a forerunner of the chess-playing computer, but in fact there was someone hidden inside making the chess moves.) Conversely, German has one word, Stadt, where we have to choose between “town” and “city” in English, and one word, Wald, where we have “wood” and “forest. In Inkspell the original German for the Wayless Wood is der Weglose Wald, and if you found that phrase in a sober work of non-fiction you might well translate as “the pathless [or impassable] forest”. But that didn’t sound quite magic and mysterious enough, and I wanted to keep the alliteration, hence Wayless Wood. There were in fact some particular challenges in Inkspell in the names – that ruler of Lombrica in German was ‘the Speckfürst’, literally, “the Bacon Prince” or “Blubber Prince”, because he was such a tub of lard. Neither sounded right in English. After a lot of thought, and consultation with Cornelia and her English-language editors, he became first “the Laughing Prince”, as a kind of Bluff King Hal figure, and then, as he fell into depression on his son Cosmo’s death, “the Prince of Sighs”. Q: What an interesting process! Did she have a name change for the prince in the German version of the story also, once Cosimo dies? A: Yes, he is later called der Fürst der Seufzer in the German, meaning the Prince of Sighs. The name doesn’t occur a lot, but it tells us a good deal about his devastation at the death of his son. Q: What are some of the other works you’ve translated? And how many languages do you work with? A: I translate mainly from German and French. I’ve done a few Danish stories for young people, but I don’t really consider Danish one of my languages; I have mastered it on the printed page but can’t speak any. I ought to try learning the pronunciation along with my twin granddaughters, who are half-Danish, and we hope they will grow up bilingual – I listen hard when my daughter-in-law says something to them in her mother tongue. Like almost all Scandinavians, she also speaks English better than most native-born English people! I’ve translated a great many books over the years, from the Asterix the Gaul saga (not unknown in the States but not, I think, as hugely popular as in Europe) to Freud, a volume in the New Penguin Freud series recently. Q: I see you’ve translated some of the Brothers Grimm texts! That must have been interesting, as I’ve been read some of the original texts are quite shocking. Do you ever feel tempted to act as editor as well as translator? What was the Grimm experience like for you? A: Yes, I have translated a number as separate stories, and several in a volume to be called Magic Fairytales in English, selected and illustrated by Henriette Sauvant (German, in spite of her French name), mainly Grimm, two Perrault – I went to the original French for those, of course. Sauvant has illustrated in her unique, slightly surreal style. Egmont are publishing it in the UK this fall, and I’ve added a few notes about the origin of each tale. The point about the grimness of the Grimms is that these were never children’s stories in the first place, but traditional tales that the brothers collected and wrote down, although they did a little editing in the process. I am particularly fond of allegedly the most horrific, “The Juniper Tree”, a version of the House of Atreus theme: the boy cooked in a stew by his wicked stepmother, unknowingly eaten by his father, revived from his bare bones by magic and the love of his little stepsister who gathers them up. (I did a translation of this one a little while ago, although in the end the project asking me for it and half a dozen other tales fell through, and I think I have cracked the way to translate the difficult verse that recurs at the end. It’s in Low German in the original, and was given to the Grimms for their collection by their friend the painter Philipp Otto Runge.) And I always remember how my younger son, then aged seven, told his family on the drive home from visiting his grandparents all about the wonderful, fascinating story he had read in a book on their shelves the night before … as I listened to his account of the plot, I quickly realized that the wonderful, fascinating story was none other than the notorious “Juniper Tree”. Q: Are there any books you’ve read in a different language and thought, “Oh, this would make a great book translated into English!” or “This book SHOULD be translated into English!” What book(s)? And have you ever petitioned to do this work and had your request successfully met? A: Yes, I do sometimes see a book which I love so much that I tell a publisher about it – but more often, publishers send me books to read so that I can give them an opinion. 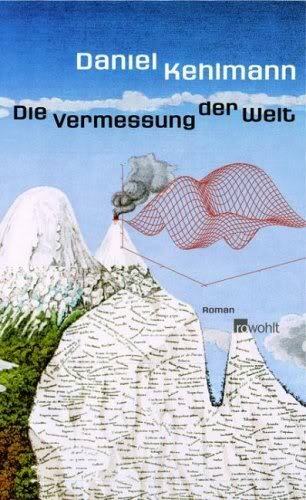 Watch out for the runaway German bestseller Die Vermessung der Welt, by Daniel Kehlmann, which is coming from Pantheon in the US in a translation by Carol Brown Janeway later this year, as Measuring the World (and later from Quercus in the UK). I am pleased to say I saw what a splendid book it was before publication in Germany, when I read it in MS. The British publisher who sent it to me and to whom I recommended it didn’t take it, feeling that a novel about the explorer Alexander von Humboldt and the mathematician Carl Gauss might be difficult to sell, but I have gleefully watched its progress up the bestseller lists in the German-speaking countries. Q: Can you tell us more about it? What about this book excites you? A: Measuring the World, by Daniel Kehlmann, is a historical novel about the very different parallel careers of the explorer Alexander von Humboldt and the mathematician Carl Gauss: both lived and worked in the late 1700s to early 1800s. The author writes fascinatingly about their work, and the book is also extremely amusing. It’s just not true, as so many people think, that the Germans have no sense of humour. While this is a serious novel, I laughed a great deal as I read it. Q: Being so intimately familiar with great works of fiction, what are your impressions about what it takes to write such masterpieces? What are you most struck by? Q: You obviously love what you do. What is your favorite part of being a translator? A: I think the attraction of being a translator is the sheer variety of the job. And working with books the whole time. In Willis Barnstone’s book The Poetics of Translation (Yale University Press, 1993) he says: “Reading is translation and translation is reading … Translation tends to be a certain kind of reading, an ‘intensive reading’ of the original text, which as a result becomes an ‘interpretative reading’.” Exactly: getting to know good books intensively is what I really enjoy. Q: Have you ever thought about writing a book of your own, and if so, what would you write? A: Far too busy to think of writing a book of my own, I’m afraid! I have a few short stories put away in a drawer, and I guess that’s where they’ll stay. Read part 2 of my interview with Anthea Bell, HERE! one thing this interview illuminates is the difficulty of foreign authors to ensure their wishes for their book are honored. it seems the publishers have no problem coming down on literal translations and changing even the titles. does the english speaking reader not get the complete essence of the book the german reader is? 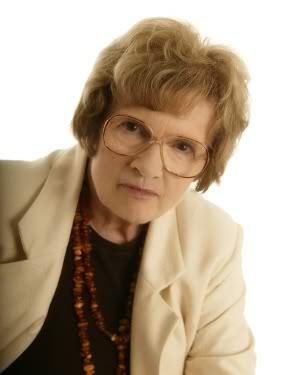 thank goodness they have a translator such as anthea bell to help maintain the integrity of the author’s work. I wonder if Ms Bell would comment on the idea that a translator of prose fiction is better at his work if he is a writer himself. I would appreciate any remarks on this topic she is willing to make. In fact only this year, just a few months ago, a book of essays was published entitled “The Translator as Writer”, edited by Susan Bassnett and Peter Bush (London and New York, Continuum). I contributed an essay to it myself. Susan is prominent in the field of translation studies, and Peter has also been an academic and is a noted translator from Spanish. google is also a friend to fans of translators! thank you anthea bell for your work. we have especially enjoyed reading your translation of ottfried preussler aloud at bedtime. i love the book…its the best book ever!!! !